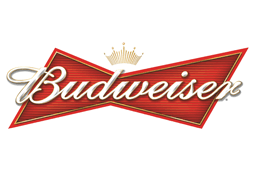 Last year, in honor of Super Bowl LI, Anheuser-Busch dedicated a full 60-seconds of their Big Game ad time spinning an epic tale about Budweiser beer, its origins, and the company’s founder, Adolphus Busch. Perhaps fitting for the year of a new President, the Budweiser spot was all about America and the American Dream. Budweiser says the ad was designed to send a message about “not backing down from beliefs and dreams.” Given the political climate at the time, when Trump had just taken office, it was interpreted by many to be a political statement. Watch the 60-second Super Bowl 2017 commercial and decide for yourself. That’s right. Despite the huge popularity of their puppy ads during their previous Big Game stings, neither of the two 2016 Budweiser Super Bowl commercials featured an adorable puppy. Why? It’s simple – as beloved as they are, Anheuser-Busch discovered that the puppy ads don’t sell beer. Back in 2016, Budweiser treated us to two commercials for Super Bowl 50. The first, called “Simply Put,” was a public service announcement starring a very frank Helen Mirren reminding all of us that anyone who drives drunk is a “short-sighted, utterly useless, oxygen-wasting human form of pollution, a Darwin-award-deserving, selfish coward.” Gee Helen, but what do you really think? The second Budweiser 2016 Super Bowl commercial starred the famous Budweiser Clydesdales in a 30-second ad called “Not Backing Down.” The commercial focused on the product itself and was meant to be along the lines of 2015’s year’s Budweiser ad, “Brewed the Hard Way.” It was a tough spot bragging that this beer means business. The second 2015 ad played on the success of the company’s puppy commercials in 2013 and 2014. “Lost Dog” was a sequel to the previous year’s successful “Puppy Love.” A fan-favorite that racked up more than 30 million views on YouTube, it featured a loyal Clydesdale saving his four-legged puppy friend on a dark, cold night. No Budweiser commercial would be perfect without the famous Clydesdale horses. But in 2013, Budweiser decided to pull on our heart strings harder than ever. Make sure you have a box of tissues nearby. Want to see more great commercials? Check out our roster from last year – all the 2017 Super Bowl commercials!